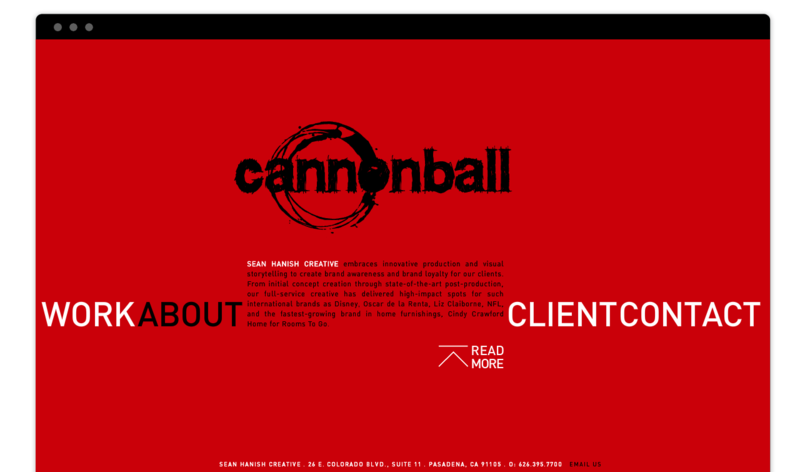 Established in 2004, Cannonball is a full service film and commercial production company based in Los Angeles. Headed by Director Sean Hanish and Executive Producer Paul Jaconi-Biery, Cannonball delivers top-quality content in a variety of media, from feature films to commercials. With an emphasis on compelling and unique storytelling, Cannonball produces impactful feature films with a relevant social message. Cannonball’s first feature, RETURN TO ZERO was awarded a Satellite Award for best Television Movie and earned an Emmy nomination for its star Minnie Driver, along with a WGA Award nomination for writer/director Sean Hanish. It was also Lifetime Network’s first ever world premiere film and was the first feature film to deal with the issue of stillbirth. From high-fashion to high-concept, Cannonball creates successful award-winning commercial campaigns for top brands. Our client list includes the NFL, OSCAR DE LA RENTA, DISNEY, CINDY CRAWFORD HOME and ROOMS TO GO, the nation’s largest independent furniture retailer.